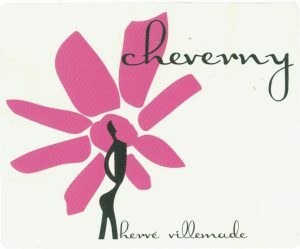 Hervé Villemade’s estate can be found quite close to the village of Cellettes which is north east of the city of Tours in the Loire Valley. Here Hervé and his sister Isabelle produce exciting natural wines from a variety of grapes including Pinot Noir, Gamay, Malbec (called Côt in the Loire), Sauvignon Blanc and Chardonnay which are produced under the Cheverny appellation. They also have some vines in the Cour-Cheverny appellation where the obscure Romorantin grape is found. Hervé makes his thrilling white wines using organic vineyard practices and organic winemaking methods. He also makes excellent reds based on a blend of Pinot Noir and Gamay grapes. He also makes a no-sulphur Malbec and Gamay called Pivoine which we really love. His wines are also very low in sulphur. Note: This domaine used to be called Domaine du Moulin. This wine is made from the Romorantin grape, in fact the tiny Cour Cheverny appellation is the only place in France where it is produced. Hervé Villemade has Romorantin vines that are 50 years old and the grapes from these vines are used exclusively to make this wine. These vines are bordered by lovely large acacia trees which give the name to the wine. The wine was matured in 500 litre barrels. This is a fascinating wine because it has been deliberately oxidised to bring out the best qualities of the grape. We love drinking it as an aperitif. 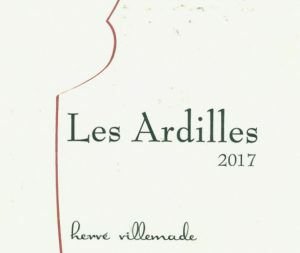 This is the first time that Hervé Villemade has made a still white wine entirely with the Menu Pineau grape variety. This old variety which is native to the area is revered by locals and when you try this wine you can see why. It is a classic white wine that cries out to be served with chicken dishes, charcuterie or seafood. It has a perfect level of acidity for these dishes and it lasts long on the palate. This cuveé was bottled in January 2018. This is a staff favourite both for its flavour and for its value-for-money. It is actually quite an elegant, refined wine that is perfect with a range of foods including seafood, cheese and white meats. A blend of 70% Sauvignon Blanc and 30% Chardonnay this wine is only produced in small quantities from vines that are between 18 and 24 years old. In 2016 some of the wine (25%) was matured in the foudre normally used for the more expensive La Bodice. The rest was matured in steel and fibreglass tanks. The result of the old wood treatment has made this a much more rounded, mellow wine than usual. In fact it is the best vintage of this wine we have ever received. It is a fresh, lively wine with lovely fruit and a nice balancing acidity. The wine is matured on lees to provide additional complexity. The wine is unfiltered. 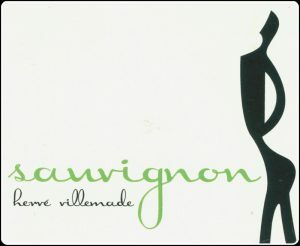 This wine is a pure Sauvignon Blanc from Herve Villemade that belies its moderate price tag. He does great things with Sauvignon Blanc and this wine is no exception! It has intriguing white pear and other fruit characteristics without them being dominant. The wine was matured in steel tanks and fibreglass tanks for an extended period before being bottled in late June 2017. It is classified as a Vin de France because the Cheverny appellation requires that white wines are blends of Sauvignon Blanc and either Chardonnay, Chenin Blanc or Menu Pineau, hence this one does not meet the appellation rules. This is an excellent wine for teaming with charcuterie, chicken dishes, fish and a wide range of vegetable-based dishes or just drinking at any time of day or night. It is designed to be drunk young! A blend of 70% Sauvignon Blanc and 30% Chardonnay picked from vines with an average age of 30 years, this wine is elegant, rich and lasts for a long time on the palate. The wine is unfiltered. But there is a lot more going on here. It has oxidative qualities – one of the characteristics that we love in wine if it is done judiciously. Our first taste of this wine was quite explosive. The oxygen effect gives it an umami flavour that is compulsive and compelling. It was aged in wooden vats and barrels in contact with its lees to provide additional complexity. This delightful rosé wine is made from a blend of equal parts of Pinot Noir and Gamay which are crushed and fermented and matured in tanks prior to bottling. 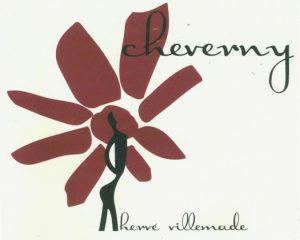 It is a blended wine as wines with the Cheverny appellation on the label, cannot be single varietals. It is a fresh, lively wine that is perfect for drinking at any time of the year. These two grape varieties marry so well in the bottle. This is a great wine to have with a wide range of foods and is also perfect for sipping as an aperitif. At the vineyard tasting this wine stood out for its elegance and structure. We loved the blend of 85% Pinot Noir and 15% Gamay. This wine is elegant, displays pronounced minerality and has an intense aroma that is very appealing. It is a very good example of where the blending of Pinot Noir and Gamay can produce a wine where both grapes contribute to making a wine where the sum is better than the parts. We have also bought another potentially one-off cuvée from 2016 made with purchased grapes, “Bout de Ficelle”, a blend of Gamay (70%), Cabernet Franc (20%) and Côt (10%). The name translates as “bits of string”, a reflection of how it was cobbled together from three different parcels. The Gamay vines, near Mesland, are up to 100 years old. The Cabernet and Côt come from the Cher valley. Aged in concrete tanks for 6 months and bottled at the end of July 2017, it’s another wine that is designed for immediate drinking. It’s supple, with plenty of fruit from the Gamay and just a little tannin from the other two grapes. This elegant wine is exceptional value at this price. We have received a tiny allocation of Hervé’s amphora red. He buried three large amphora in his winery and this is his first vintage made completely in these ancient vessels. This one is made from premium Pinot Noir grapes with a little Gamay as well and is a silky smooth and compelling wine. One third of the grapes were destemmed and placed whole in amphora (buried Georgian qvevri) for 6 months of maceration. They were then pressed and the juice spent another two months in qvevri. Finally that juice spent two months in barrel before bottling in June 2016. This vintage was an interesting one in the Loire. The quality of the grapes was very good due to the excellent summer prior to picking which allowed the vines to recover from the earlier rain storms. The soil here is clay and flint over the limestone base that is widespread in this part of the Loire. 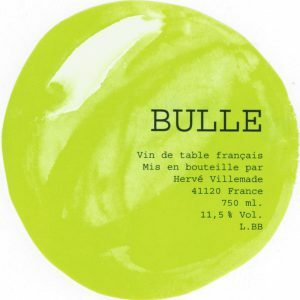 This vintage saw a mix of 60% Pinot Noir and 40% Gamay undergo carbonic maceration for two weeks before the juice was transferred to a large wooden tank and the demi-muids usually used for the more upmarket Les Ardilles but there was not enough grapes to make it in 2016. It is a very pretty, fresh, flavoursome wine with a compelling liveliness that shows off the two grape varieties perfectly. We like to serve it slightly chilled. The 2017 vintage of this wine is particularly pleasing, partly because the alcohol level is an appealing 11.5%. Un régal ce Cheverny: pas la peine de se compliquer la vie. Ici, du fruit rouge, encore du fruit noir ‘cerise’ et des touches légèrement épicées-réglissées. On se régale tout simplement! A feast this Cheverny: no need to complicate life. Here, red fruit, black cherry fruit and slightly spicy-liquorice touches. We simply enjoy! 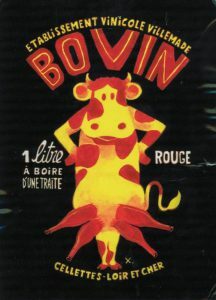 This wine is a special bottling of Hervé’s silky red. He thinks it is so drinkable that a standard bottle may not be enough! Therefore he is using a 1 litre bottle for this vintage making it excellent value for money. This wine was bottled in February 2017 and is a lively, fresh, flavoursome wine that shows off the grapes characteristics perfectly. Made from 100% Gamay, the grapes are sourced from a a vineyard in the Cher Valley and harvested entirely by hand and placed in small baskets. This wine is classified as a Vin de France and Hervé says it is “frais et gouleyant, a boire d’une traite”. Essentially he is saying it is fresh and should be drunk in one go! 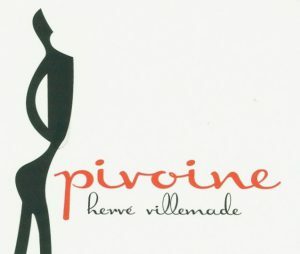 The Pivoine is an exciting addition to our selection from Hervé Villemade’s range. Made from 90% Malbec (called Côt in the Loire) and 10% Gamay this wine has had only a little additional sulphur added so it is a fresh, lively expression of the terroir and the Malbec fruit. 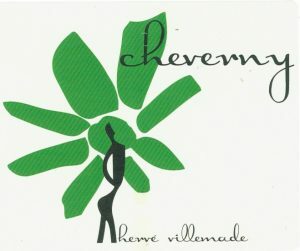 This wine is classified as a Vin de Pays because the maximum percentage of the Côt grape that can be used in a Cheverny red wine is 15% and this has 90%. If you want a reasonably-priced red wine that hasn’t been filtered and has macerated for up to 20 days , this is a good one to try. We have been able to secure a small allocation of pétillant naturel sparkling wines from Hervé. They are presented simply with attractive labels and a cork stopper held in by a wire cage. These are ideal summer quaffing wines. This one is made from the very rare local grape called Menu Pineau along with equal parts of Chenin Blanc and Chardonnay for added complexity. It has a marked purity of flavour, along with a very, very fine bead and a fresh, lively mouthfeel and great depth of flavour with citrus and herbal notes. The finish is quite long and will leave you wanting another glass…and another. We have been able to secure a small allocation of pétillant naturel sparkling wines from Hervé Villemade. They are presented simply with attractive labels and crown-seal closures (just like a beer bottle). These are ideal summer quaffing wines. This one is a blend of 50% Gamay and 50% Pineau d’Aunis. This wine uses a crown seal closure with a plastic insert.